It just dawned on me that I hadn’t posted these shots of Ricky’s GTI from last summer since they were waiting to be published elsewhere. I think a year is long enough to showcase his beautifully bagged GTI. I’ve followed along with Ricky and his build, put a fair share of sweat and tears, and discussed hours upon hours of his build from the very beginning. The one thing you don’t usually get is the feeling of accomplishment that the owner gets when the car finally reaches this stage. Often times, readers just see the final outcome but they can’t appreciate the amount of work has gone into something. The little things like what needed to be done to fit a certain part, or the sacrifices that had to be made to actually make it to the product you see in photos. Luckily for me, Ricky’s GTI was one of those cars where I can say (I think he’d agree) that I know the process. I think he could say the same thing about all of my builds as well. For those of you that don’t know, Ricky is my cousin – so that’s part of the reason why we’re able to share that pain we all love when building cars. The unique thing about Ricky’s build – and I use the term “unique” loosely – is because ever since the beginning, Ricky’s GTI has been semi-inspired by a lot of JDM builds. 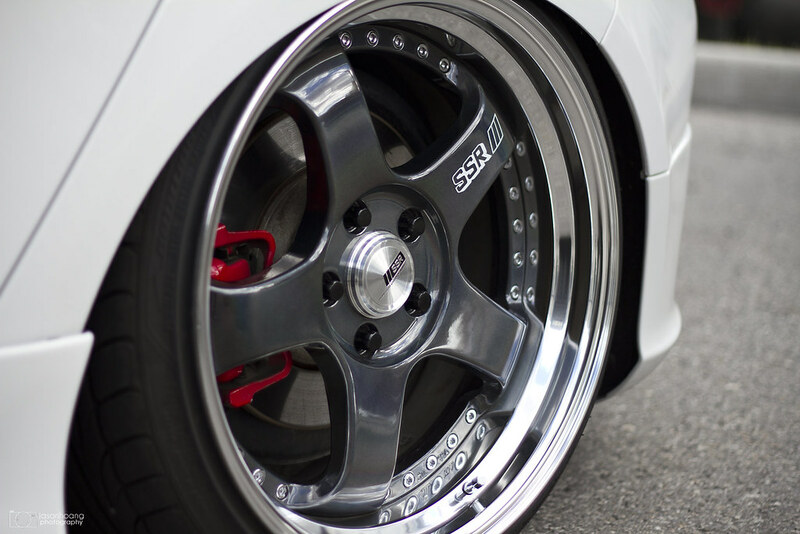 Most of the guys we all hang out with started out with the JDM-phase – building Honda’s, Toyota’s, etc. You’ll see very quickly that there are aspects of his GTI that make you think that Ricky should’ve built a Honda instead. From his SSR Professor SP1’s to the Bride carbon kevlar Gias seats. The mixture of Euro flavour and JDM inspiration comes together extremely well, and while there is some distaste among his fellow VW owners, there’s no denying that this is one of the best GTI builds out there. 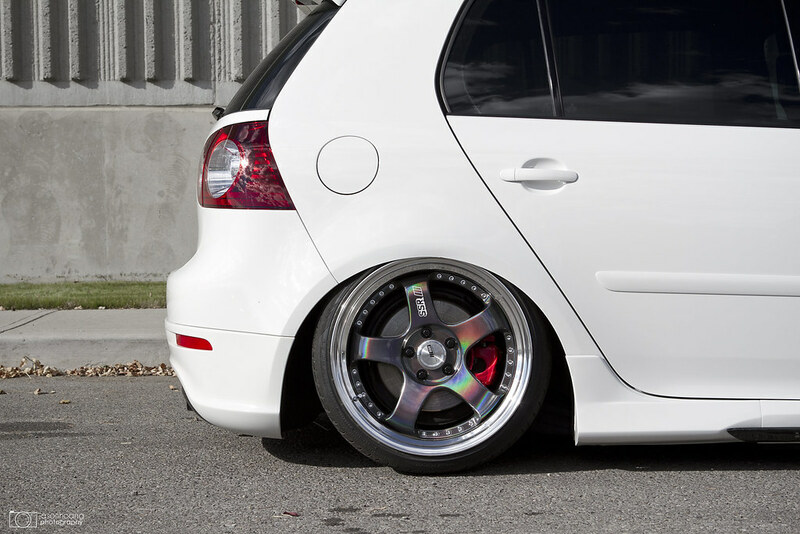 The first thing you notice about his GTI is the beautiful set of SSR professor SP1’s in the awesome spectrum silver finish. He was one of the first to finally slap them on and at the time, it was rare to even find pictures of them on the internet. His Oettinger bumper is aggressive and flows well with the lines of the car. 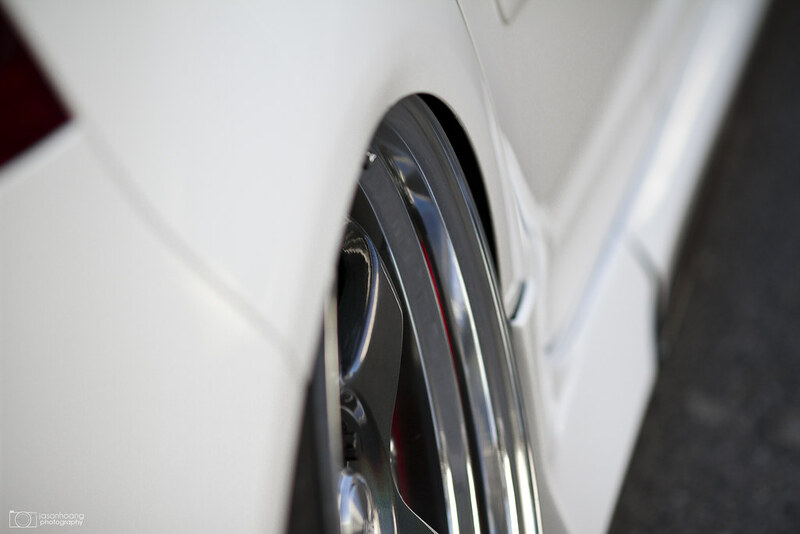 His fitment in the rear. Ricky was also early to the game of bagging his car in the city. 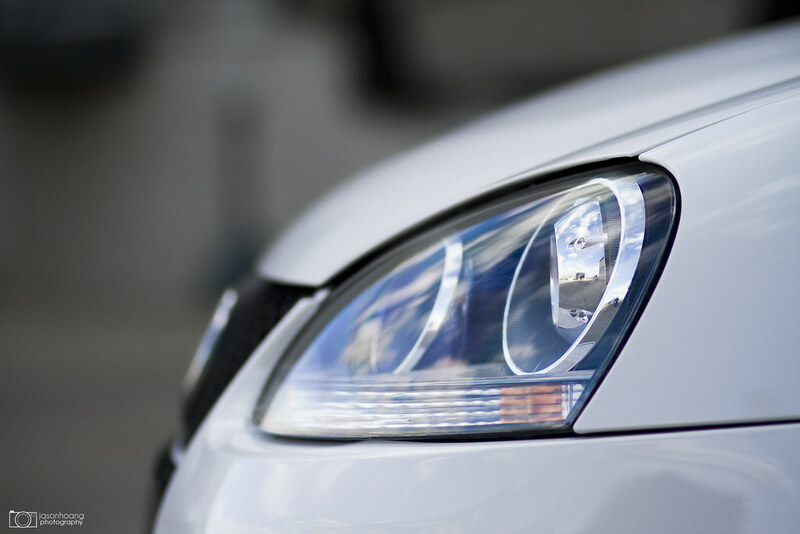 There are a few that have done it, but it’s costly and most people prefer just to do static. Thanks to Concept-1, they got his GTI sitting nice and low and looking awesome with Accuair components. His OSIR carbon fiber duckbill spoiler. This was one of the pieces that we had discussed for a long time about how the paint scheme should be. We talked about painting the whole thing, painting it slightly to show the weave through… Eventually we came up with keeping the bottom unpainted to show the carbon weave and then the top to match with his roof. It turned out awesome and the install took us a while, but the final outcome was worth it. Dave at Screamin’ Paintworks did a great job with the paintwork all around for Ricky’s car. 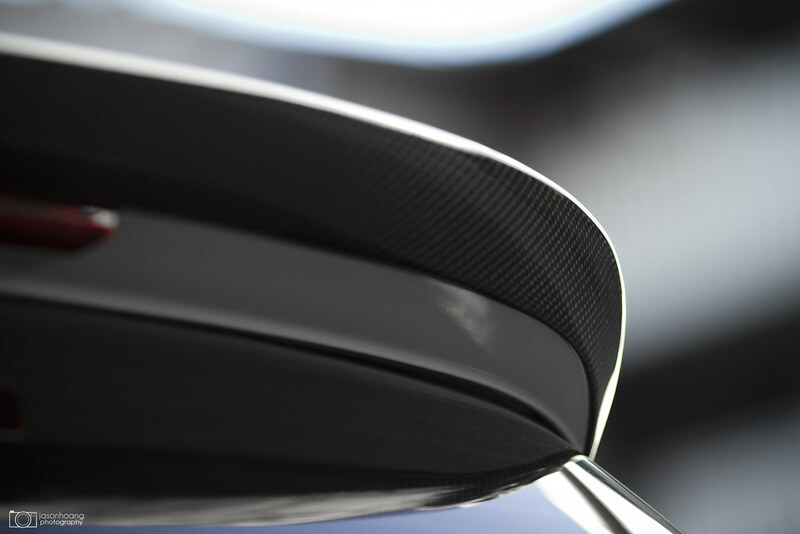 OSIR carbon insert side skirts as well. The look of spectrum silver when it’s not in the sun. Simple gunmetal. 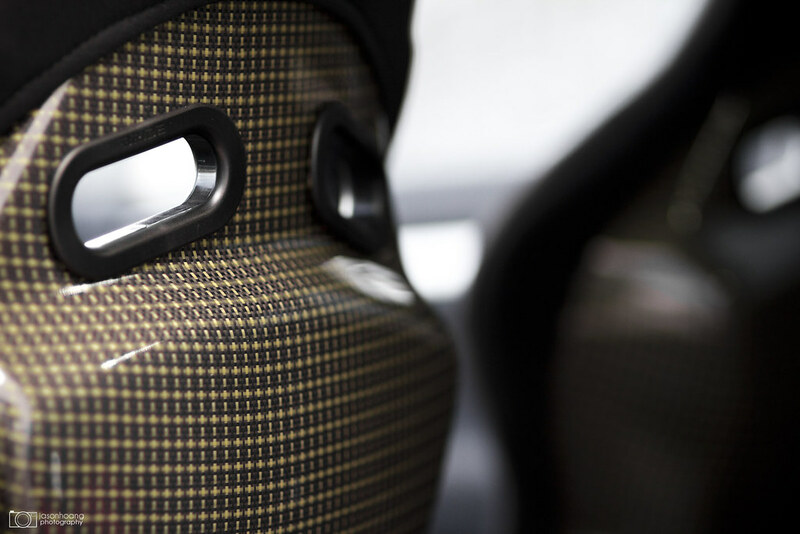 A look at the back of his carbon kevlar Bride Gias seats. 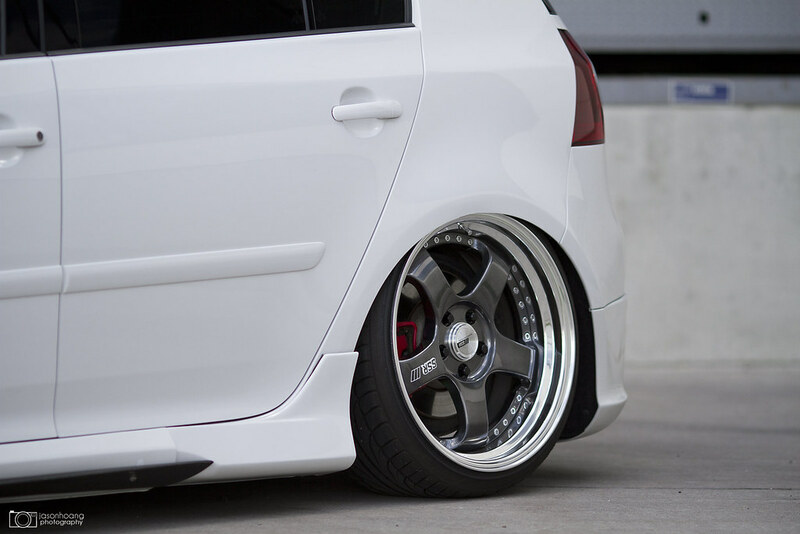 Again, something that was a little odd to think about adding to the GTI initially, but once they were in – perfection. 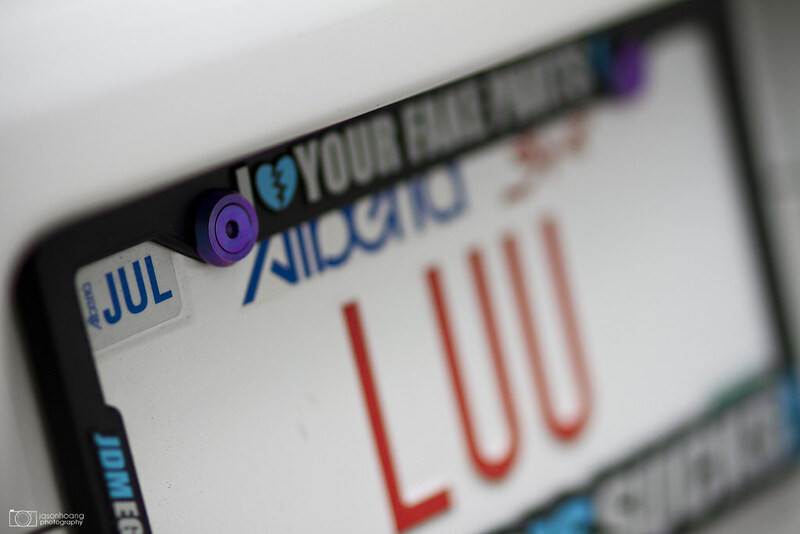 Again with the JDM flavour – TI license plate bolts paired with a JDM EGO frame. Perfect! A side profile shot showing his stance. The rear with the sun shining right down on the spectrum silver. 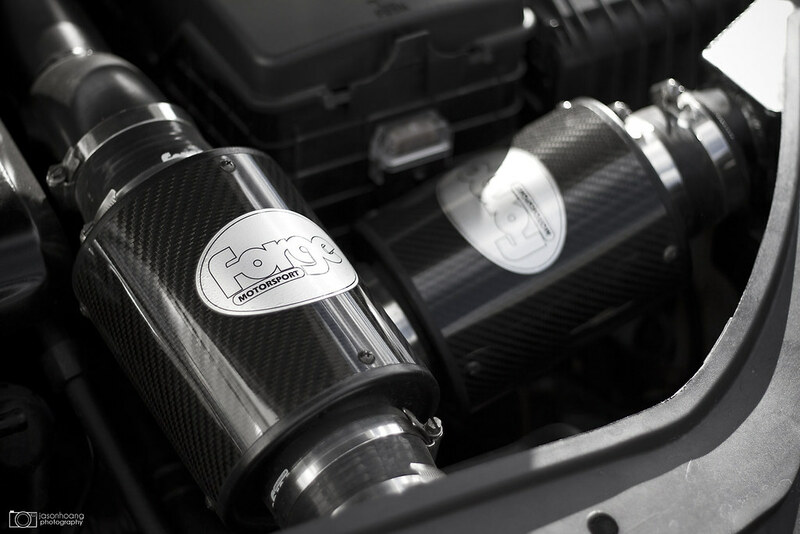 His dual chamber Forge carbon fiber intake. Final shot of the beautiful SSR SP1.